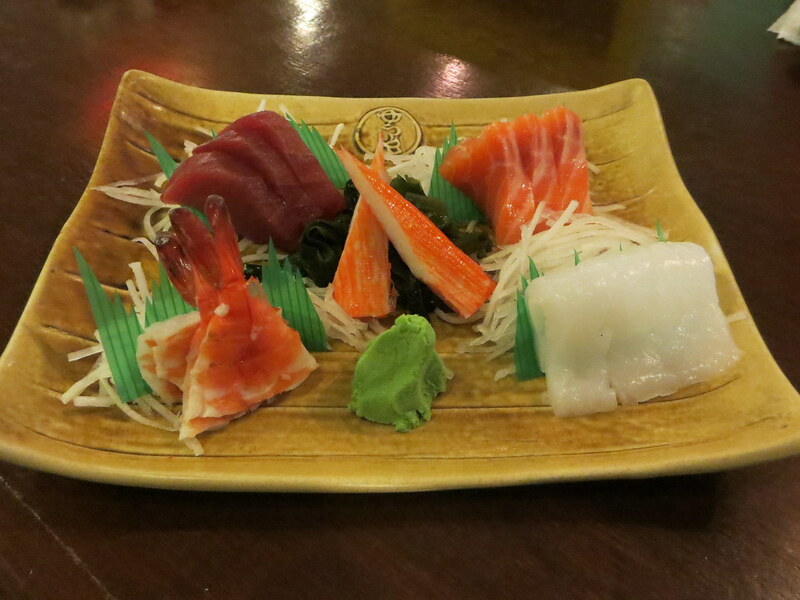 Yuujin Japanese Cuisine in Greenhills. There must be something with September because around the same time last year, I remember being stuck in really bad traffic too. I attended a meeting in the Malacañan compound which lasted longer than expected so I wasn't able to eat breakfast and lunch. They served food and snacks but I found it hard to eat and to participate at the same time. After the meeting, T picked me up but traffic was so bad, he had to find alternate routes and somehow we ended up in Greenhills. I told T I was dying of hunger so he suggested that we try Yuujin Japanese Cuisine. Yuujin has been around for 10 years but I still want to write about it because I think it's one of the underrated Japanese restaurants in the Metro. 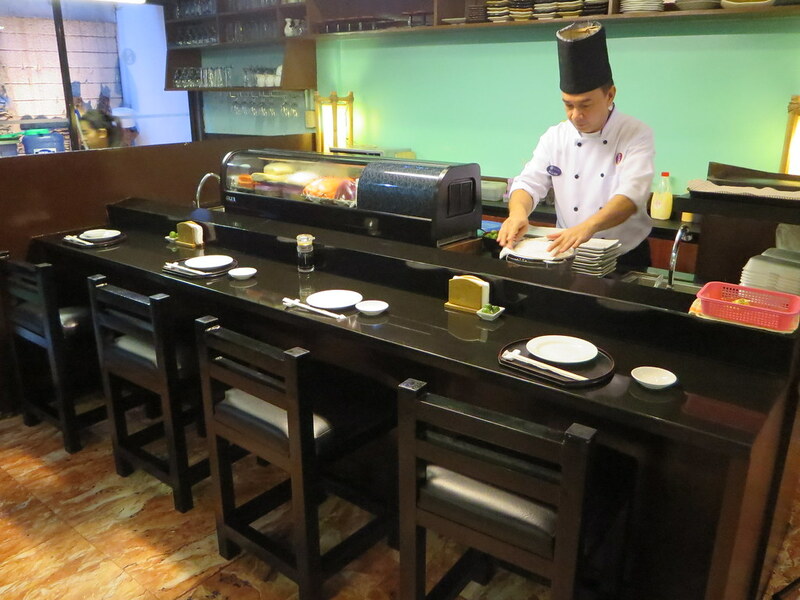 The set up is cozy and intimate with only a few tables and a sushi bar at one end of the restaurant. 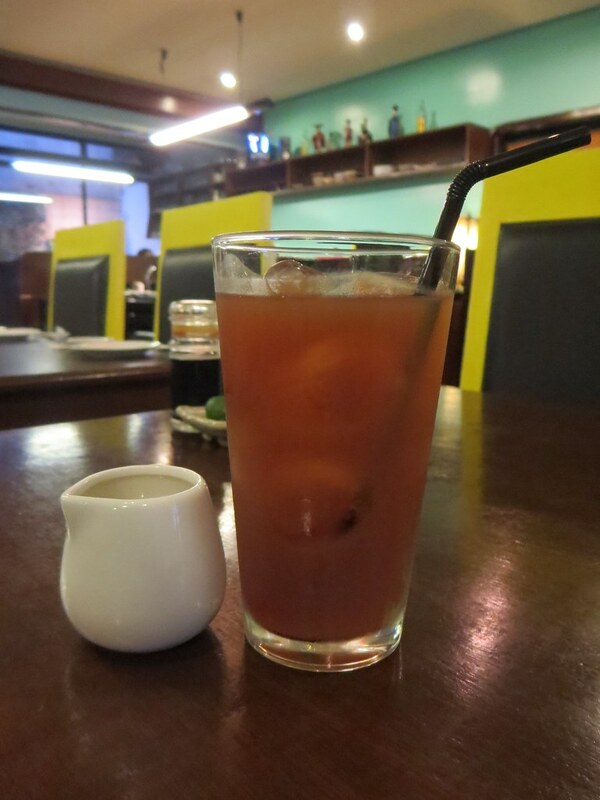 So it's perfect for those who prefer to dine in hidden and not-too-mainstream places. 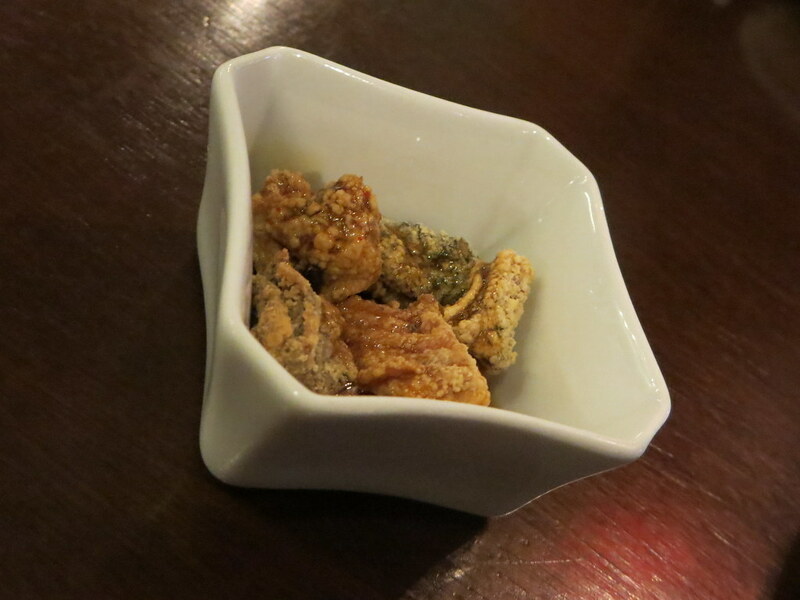 To start, our server gives us a complimentary bowl of Crispy Salmon Skin. I love how the spiciness of the crunchy salmon skin blends with the sweet, sticky sauce drizzled on top of the pieces. I order the Sashimi Moriawase (PhP450/$10+SC) which is a mix of five kinds of sashimi-- tuna, crab, salmon, squid, and shrimp. I always look for this in Japanese restaurants but what they usually have is a combination of sushi, sashimi, and maki. So I'm happy Yuujin has this platter of pure sashimi. 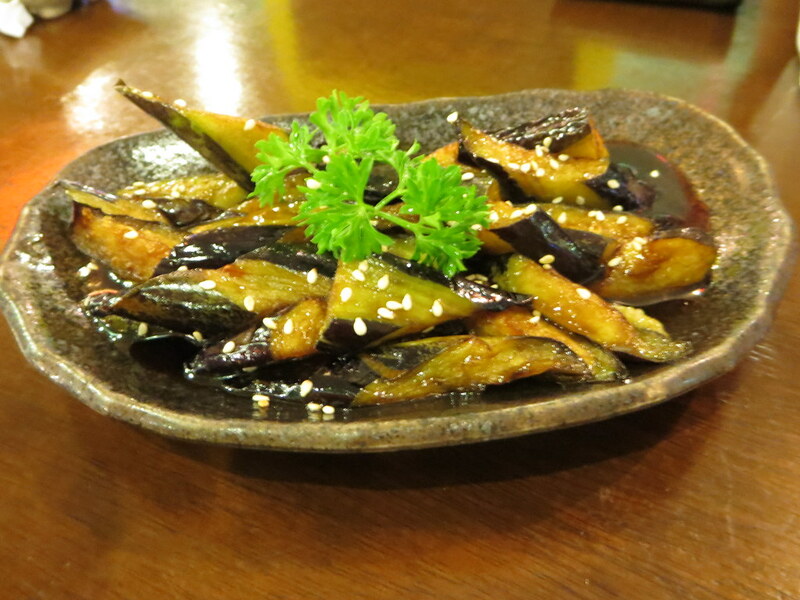 Nasu Abura (PhP140/$3+SC) or sweetened eggplant with sesame seeds is another favorite of ours. This isn't always present in menus of Japanese restaurants so when we see it, T automatically orders it. Another staple of ours in Japanese restaurants is tempura so T orders the 8-piece (yes 8 pieces even if it's just the two of us) Ebi Tempura (PhP395/$8.50+SC). 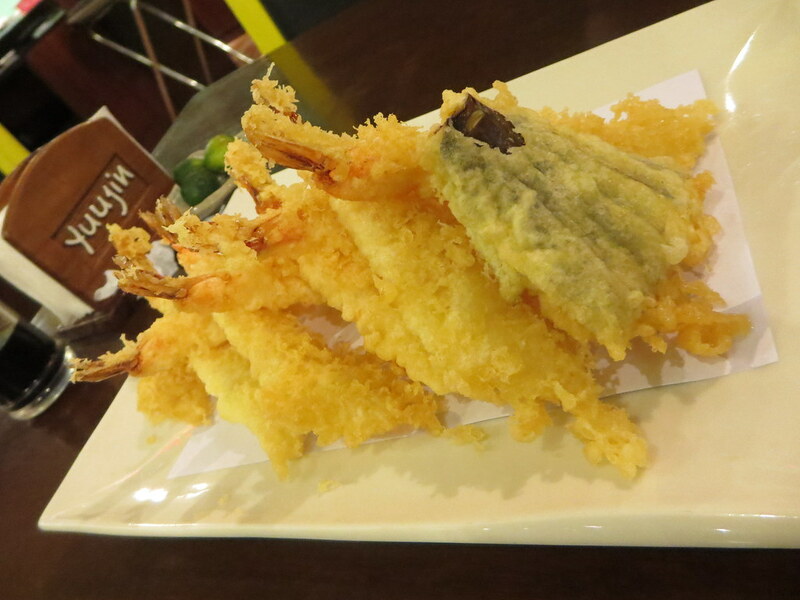 The tempura is good.. Thin because there's not so much batter on the prawns but T and I like it because it's crunchy. The sauce is good too. 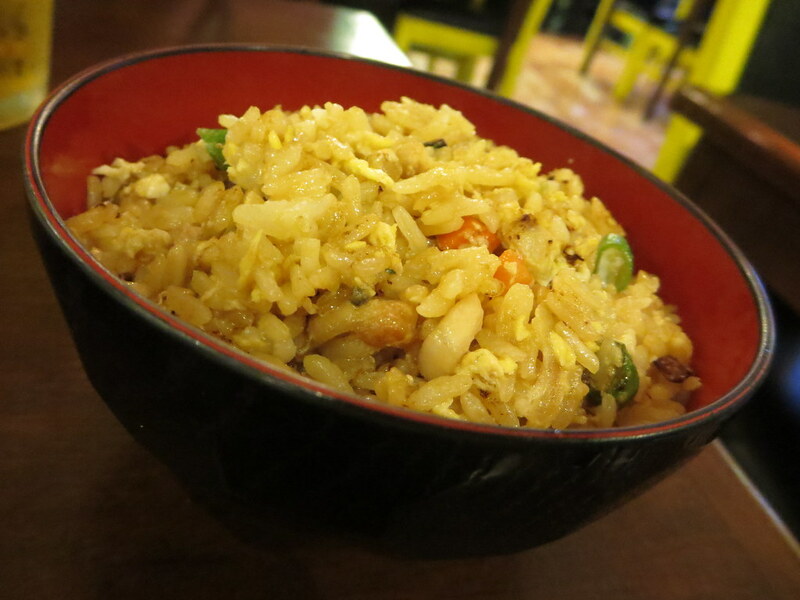 Of course, no meal is complete without an order of Fried Rice. I've mentioned this a number of times in previous posts but I really love unsweetened brewed iced teas. So during a long hectic day like today, I'm so happy Yuujin has Homemade Brewed Iced Tea (PhP90/$2+SC) and it's bottomless too! So here I am.. From an ogre to a smiling human being :D Happy Friday everyone! 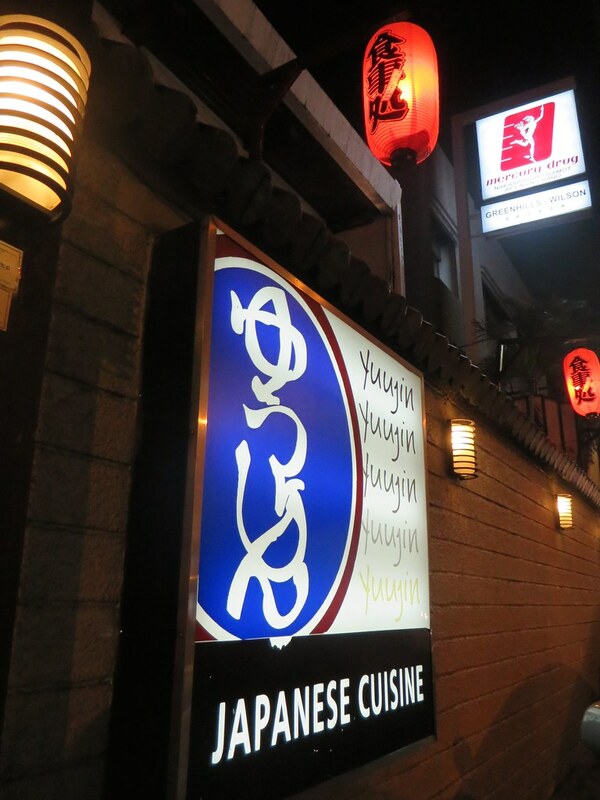 If you're looking for a place that serves authentic Japanese cuisine but won't break your wallet, Yuujin is the place to visit. T and I will definitely be back! 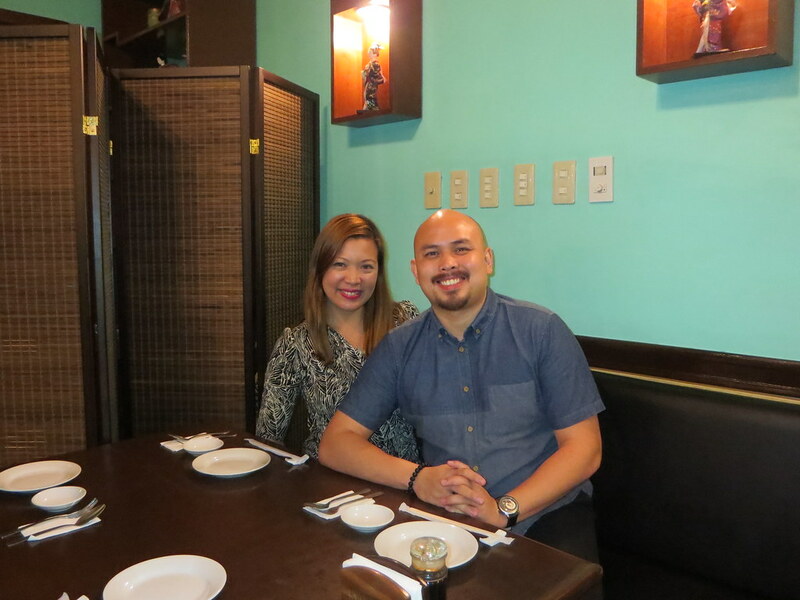 Owned and operated by Maeda's Japanese Cuisine, Inc.
Locavore Kapitolyo: A Filipino Restaurant. Gyumon Yakiniku Restaurant in Makati.